Melt 10 Kinder® bars over hot water. 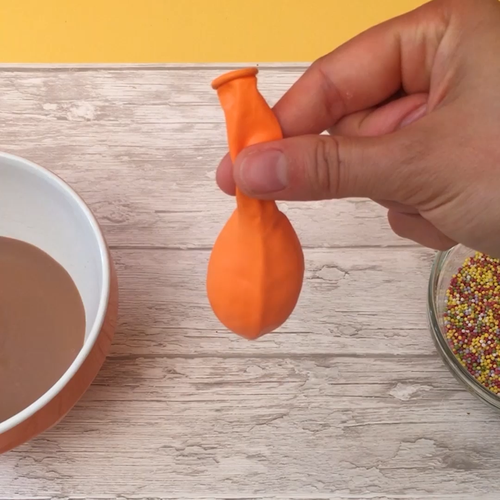 Blow up a balloon and dip it into the chocolate and then in the sprinkles. Leave to set in freezer. Whip the cream over ice and add the remaining melted kinder chocolate, whole pieces of kinder and condensed milk. Put the mix in the freezer for 3 hours to set. Serve scoops of your kinder ice-cream in the chocolate bowls by popping the balloon and removing it from the chocolate.